We introduce a cloud based email security service which is placed in between your mail server (shared, cloud or dedicated) and the internet. The advantage is that emails are filtered before it reaching to your mail server. Since this is a cloud based solution, you do not need to install any piece of software on your computer or server. You can set your own policies on how to block spam. How Do We Secure Your Emails? 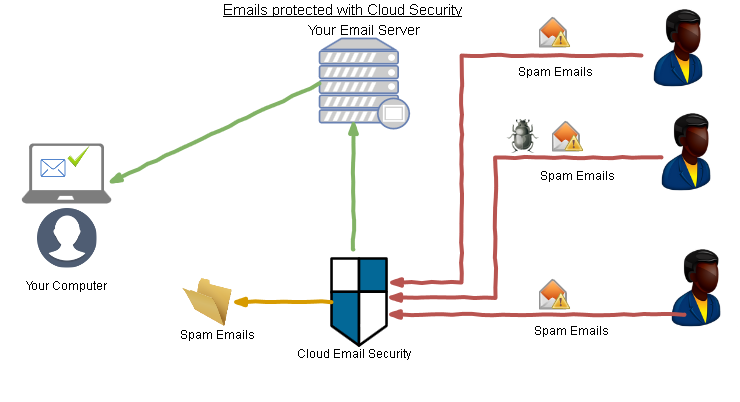 The Email Security Service is a cloud-based anti-spam, email security and archiving solution. It rids your organization's incoming email of spam, while securing your network and data against malware, sophisticated blended threats, unwanted content and data leakage. We support all email providers (Google Apps, Office 365, Shared/dedicated mail servers etc. Collect list of email accounts to be filtered from you. Add each email address to Cloud Email Security scanner (each account need a license). Define Spam and Virus filtering level based on your requirements. Tell our system to scan only added email accounts. 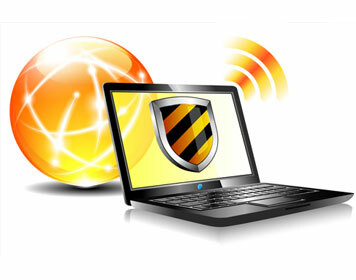 Update MX record of your domain to the IP of the Cloud Security IP. 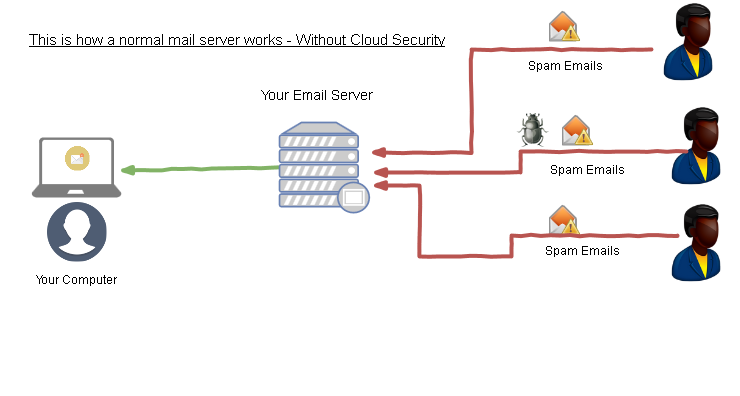 Add your mail server IP to the cloud security to route email to your server after filtering. If you want to scan sending emails also we define that also. You get a login to manage your account where you can see filtered emails and other reports. You can schedule daily reports of various activities such as Virus emails, number of email in quarantine folder, number of rejected emails etc.